Using the power of Air Pressure & the Motor’s rotation to drive the mold rolling and make the requested grooves on the units. 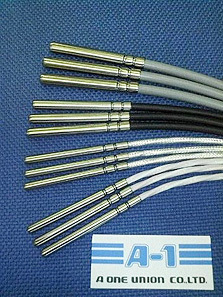 Stainless Steel Tubes, Copper Tubes, Aluminum Tubes. The thickness of tubes is important. Usually, it must be less than 0.5mm. Thicker thickness needs more time to process. The tube hardness also influences the lifetime of the molds. Higher tube hardness, less lifetime on molds. Diameters of tubes and wire matter. Higher tightness between tubes and wire can make the finish units more perfect. 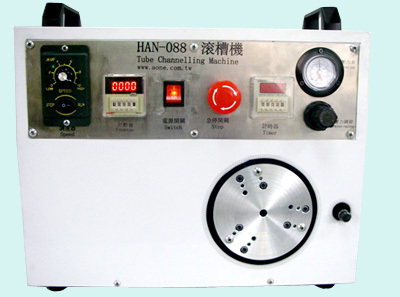 Please provide your sample tubes and wire for processing finished samples as reference.